As the cost of college continues to soar, families are struggling to save for their children’s future education expenses. Before Ashley had even garbled her first word or taken her first step, her mother began saving for her college education. When Ashley was only six months old, her mother opened a Florida Prepaid college tuition plan. “For a single mother, this was an affordable means of guaranteeing my children’s education,” said Yvette Rivera, Ashley’s mother. Today Ashley is a sophomore in college and feels lucky to have the safety net. “I am able to concentrate on school and not worry about taking out loans just to cover the cost of books,” she said. She has reason to feel grateful. The cost of college tuition continues to skyrocket, and the amount of outstanding student loan debt is soaring along with it. 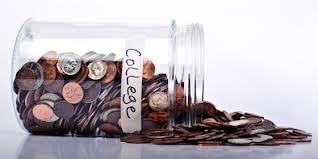 So parents are beginning to prepare early, and 529 plans are an excellent saving tool because investments into them grow tax-free and as long as the proceeds are used to pay for education related expenses, the withdrawals are tax-free as well. Savings Plans work much like a 401K or IRA. They invest your contributions in mutual funds or similar investments. The plan will offer you several investment options and the account will go up or down in value based on the performance of the particular option you select. Savings plans will earn more money, but also carry more risks.